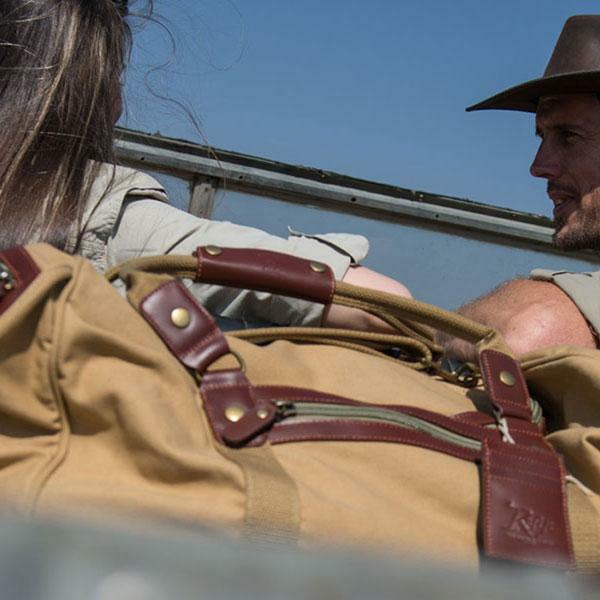 Brainchild of our MD, Steve Adams, the Mara&Meru™ Safari Voyager stemmed from the desire to create the ultimate travel bag. long or short! This bag is just about the best thing to happen to The Safari Store. 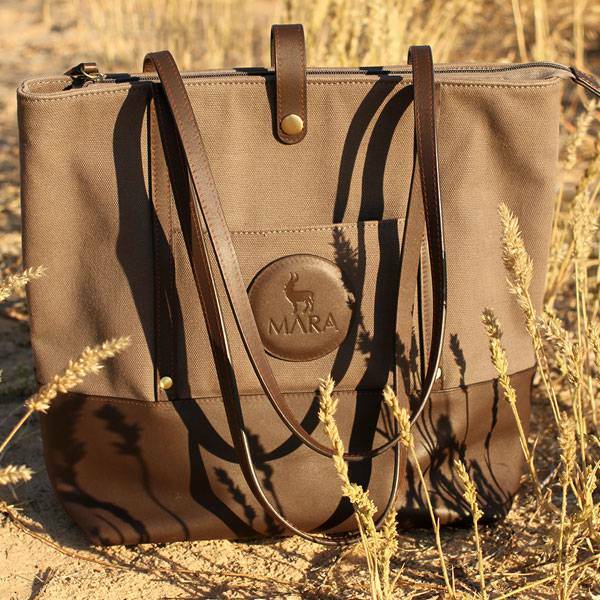 Brainchild of our MD, Steve Adams, the Mara&Meru™ Safari Voyager (Your Everything Bag) stemmed from the desire to create the ultimate travel bag which could also be used on shorter trips and daily activities - a bag that can transform to fulfil your travel and lifestyle requirements. What is the Mara&Meru™ Safari Voyager? 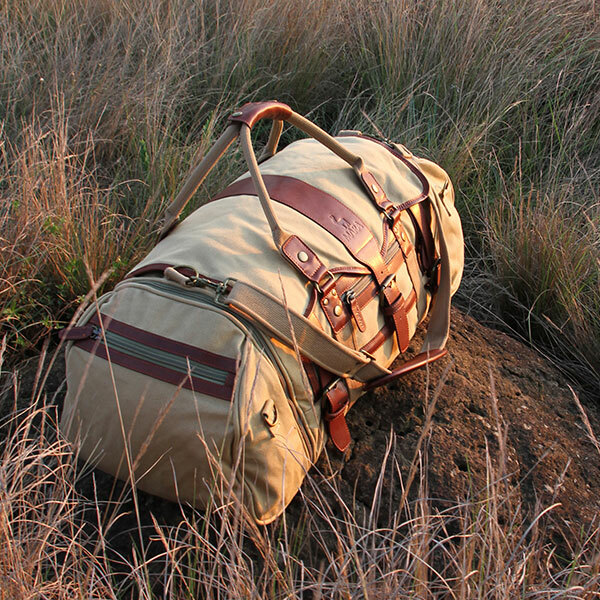 The Safari Voyager is a large, soft duffel bag made from quality canvas and leather. The bag comes standard with two side pockets that can be unzipped if you wish to have a smaller bag. Each side pocket comes with a removeable strap and can be used as a satchel. • MATERIAL: These bags are beautifully crafted from quality safari-grade canvas and leather. A padded waterproof layer weatherproofs the bag and helps to keep the contents of the bag dry in light rain showers. • DETAIL: The stitching is strong, neat, and complements the curves of the bag. The brass buckles and studs offer durability and aesthetic detail to the overall look of the bag. • STRAPS: The handles and straps are made from thick woven canvas with padded leather tabs for comfortable carrying. • ZIPS: The durable zips have leather tags to make zipping and unzipping easy on the hands. The main compartments have lockable zips that allow a padlock to be fed through to keep the contents of your bag safe. We also stock a range of other attachments that zip to the Mara&Meru™ Safari Voyager so you can customise your bag with ease. The ability to add or remove attachments to create the individual bag of your choosing means that your Safari Voyager is wholly adaptable to meet your needs. An easily-convertible satchel or daypack with detachable shoulder straps and adjustable depth for the best in day-tripping. A versatile satchel, daypack, or camera bag. Adapt your bag to your outing with detachable compartments, shoulder and backpack straps. Click through the images to see the features that make the Mara&Meru™ Safari Voyager the ultimate travel and every day bag. The core bag comes with removeable end pockets which can be used independently as satchels. Build Your Bag from our range of attachments. Lockable YKK zips with leather tags for ease of use. Strong, neat stitching that complements the overall look of the bag. Added durability and aesthetic appeal offered by brass buckles and studs.